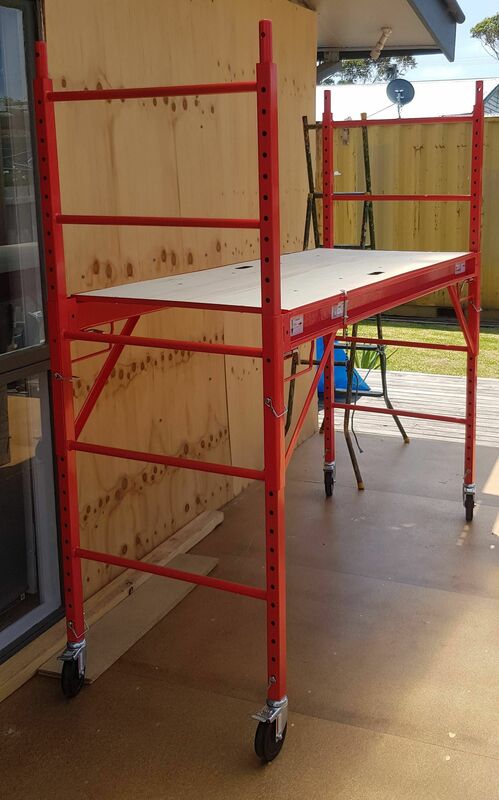 Saves me having to work off a ladder all the time. Will use it for cleaning our gutters and clean solar panels. Easy to use. Postage was 1 day earlier than the date given.Great service would buy from Crazy sales again. The Portable Scaffold is well made and so easy to assembleit is also very easy to move around and the delivery to my place was so quick all in all the purchase from your organisation was excellent.